The recipe comes from Goin’s wonderful cookbook Sunday Suppers At Lucques. I’ve made these a dozen times for friends and the response is always wildly enthusiastic. Be sure to make both the romesco included on Food Gal’s site (sounds strange, tastes divine) and also make some of Goin’s aioli, which is homemade mayonnaise. In Sunday Suppers, Goin instructs to top the burgers with both. 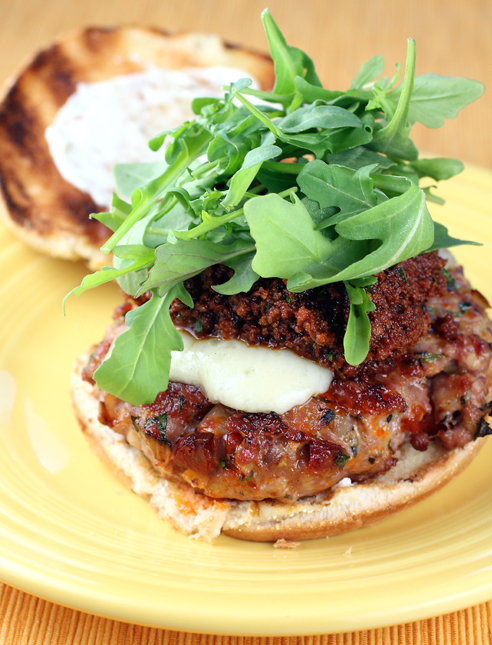 Believe me, the burgers, the aioli and the romesco all combine into “Heaven on a Bun” indeed. With the summer reading list, I suggested one of my favorite books of all time, Jonathan Tropper’s This Is Where I Leave You. 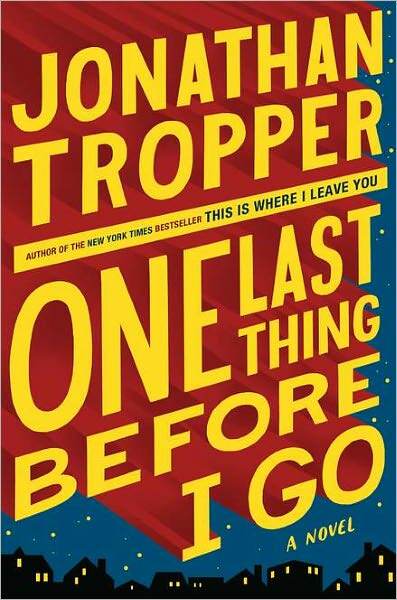 His latest, One Last Thing Before I Go, has just been released and, like all Tropper’s books, it is a laugh riot that causes you to suddenly and surprisingly get your heart caught in your throat. It’s a terrible cliché to say ‘You’ll laugh, you’ll cry’ but with Tropper, that tends to be what happens. His books are wildly enjoyable, easy to read and often extremely moving. A perfect holiday weekend read. Friends of mine have heard over and over that the best BluRay I’ve ever seen is the stunning transfer of Alfred Hitchcock’s Psycho. You can literally see the mascara on Janet Leigh’s eyelashes and the clarity of the transfer heightens the tension in what is one of the darkest films of all time. A new BluRay, however, may have just become my #1, and not just because it is also one of the top 5 films ever made. Universal recently released the LONG awaited BluRay of Jaws. As with the Psycho BluRay, this transfer transforms the experience of watching the movie, even for someone like me who has seen the film over 50 times. I’ll probably do a full piece on this brilliant movie one day. But whether it’s been a while since you’ve seen it, or even if you have seen it recently, this BluRay a must. And what better film to watch over a hot, end of summer beach weekend than this magnificent thriller? Have a wonderful Labor Day! And let us know what you will be doing, eating, reading and watching! hey! Would love to meet you there for sure. And there’s always Vegas 🙂 Let me know how your weekend goes, let’s try to talk next week. Have you ever made the Father’s Office burger? (The LA Times kitchen back-engineered the recipe a few years back.) Would be interested to know what you think…. This weekend I will be attempting to persuade my wicked cat to pose for me. I need a good shot of him for an online shop banner. I shall be attempting to do something imaginative with some braising steak, and a small pork chop for Saturday and Sunday dinner. My real job for this weekend is to finally nail down my research for a story that I will be working on for this year’s Nanowrimo. 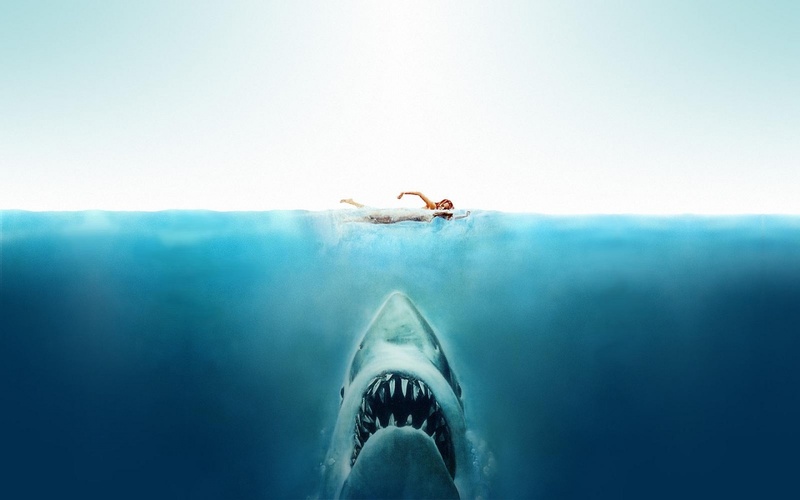 I may even dig out my Jaws DVD and have a shark weekend with Deep Blue Sea and another of Peter Benchley’s White Shark (Creature)… dreadfully hammy, but the scenery is beautiful. I read and watched “White Shark”! Hammy and fun indeed. Enjoy the weekend… pork chops!! Fair warning – Downton Abbey is addicting. One of my favorites and am waiting (not so) patiently for it to come back on! Even Mark got hooked – and that’s saying something! Good to know! It sure does seem to get everyone who watches addicted. I am looking forward to it! Glad you love the burgers as much as I do. I’m making them again this weekend for friends. Have a great Labor Day! Carolyn! Thanks for making a visit to onfoodandfilm and, again, thanks for the link : ) Great blog you have, I’ve been looking through it for a couple of days. I am envious of your friends this weekend! Have a great holiday yourself! Tom you’re going to love Downton Abby I just watched the first two seasons and the Christmas special and bummed I have to wait for season three. And yes even though it’s a BBC show there will be a season three. Hip hip hoooray!!!! Teresa! So cool to hear from you! I will let you know what I think… and I hope all is well! 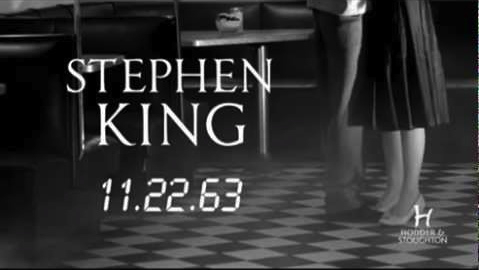 Glad to see another good review of that Stephen King book as I was curious about it. Been revisiting some old King favorites this summer but, since I stopped reading every single thing he wrote around the time Bag of Bones came out, it’s hard to know which of the “newer” ones are worth working through. His books are so long and involved, but some are worth it. It is worth it, I promise. Which old favorites are you rereading? There are a number of his older books I reread that I love. As for post ‘Bag Of Bones’, ‘Cell’ is worth it, his take on a zombie novel (of sorts). It’s very good. I loved the first 2/3’d of ‘Under The Dome’ but hated the last section. I re-read Tommyknockers and The Shining, and Different Seasons is up next. I liked Cell. Also liked Lisey’s Story. Couldn’t finish the one about the guy who moved to the Keys and started painting. My faves are Salem’s Lot, The Shining, The Dead Zone and Cujo. I, too, could not finish Duma Key, though I loved how it started. I remember really liking Tommyknockers, I should try it again, too. There’s a passage in Salem’s Lot that is my favorite thing he’s ever written, and it’s a description of life in the town that has nothing to do with the horror element. His 70s stuff was so good that sometimes I think he needs an editor now, or at least someone to say “No.” But talking out of the other side of my mouth, Tommyknockers is one of the ones where he emptied the entire contents of his brain onto the page and it worked.